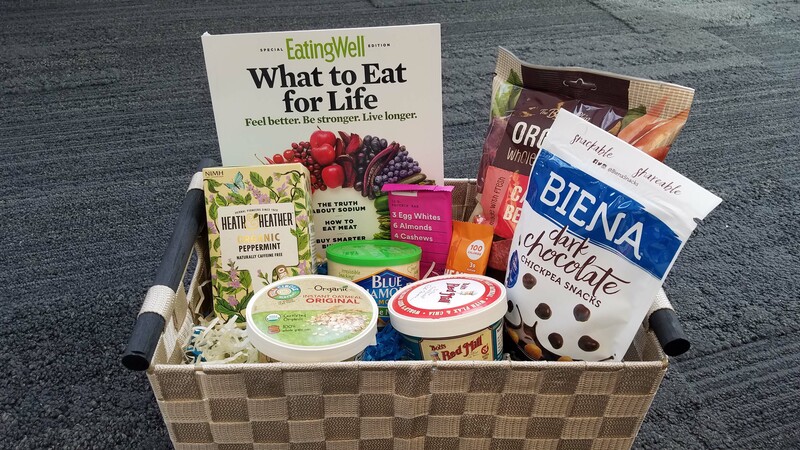 This is the healthy gift basket available in the prize drawing for those who complete the Sugar Savvy Challenge. Let’s kick added sugar to the curb! Did you know that the average American consumes 19 teaspoons of added sugar every day? That translates into about 66 pounds of added sugar consumed each year, per person. Faculty and staff are invited to join the Sugar Savvy challenge: a three-week, self-paced email challenge designed to help participants become more sugar savvy and provide strategies to get started ditching the added sugar. Each week, participants will work on ways to sip smarter, tame sugar cravings and shake up snacks. Everyone who completes the challenge will be entered into a prize drawing for a healthy gift basket. Get complete details and register.